Become a real life Robinson Crusoe today with this exclusive overnight trip with Tropical Sea Kayaks to beautiful Snapper Island National Park. 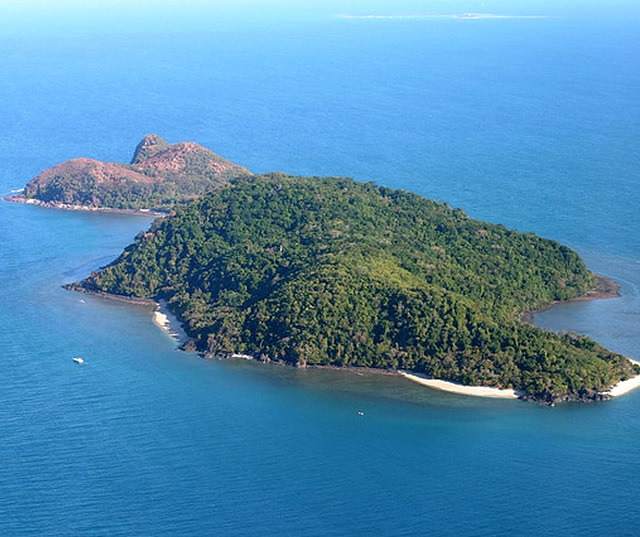 Snapper Island National Park is situated 2 kilometres from the mouth of the Daintree River, in Tropical North Queensland, Australia. 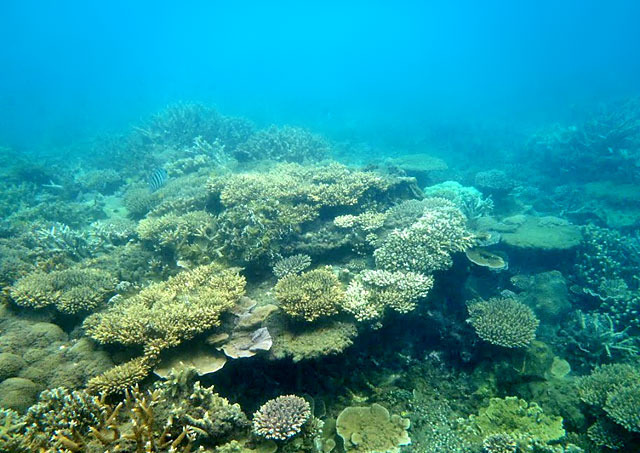 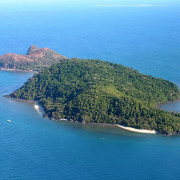 The island is uninhabited, filled with tropical rainforest and surrounded by magnificent coral reef and white sandy beaches. 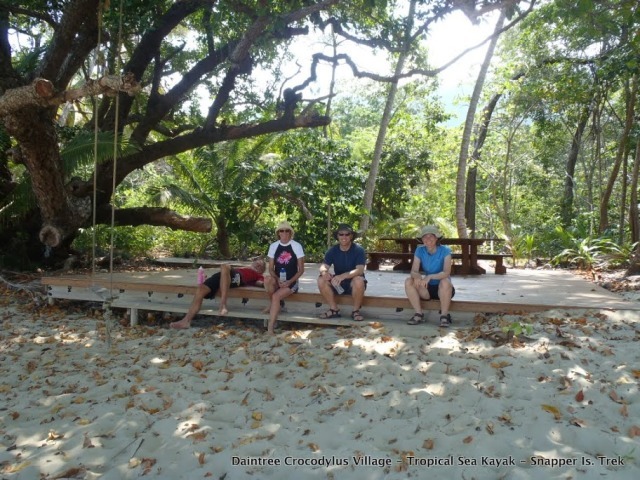 Pre / Post accommodation at Crocodylus is recommended. 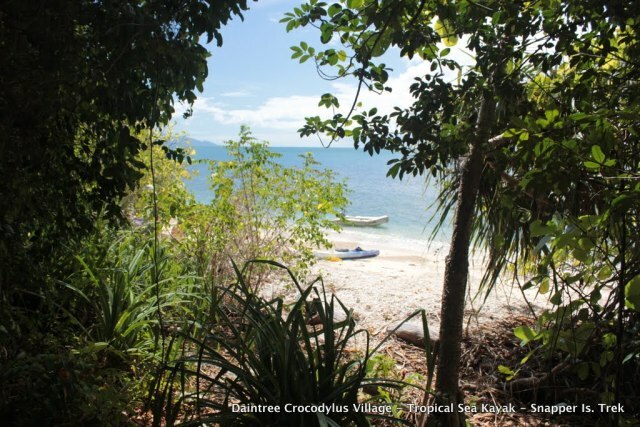 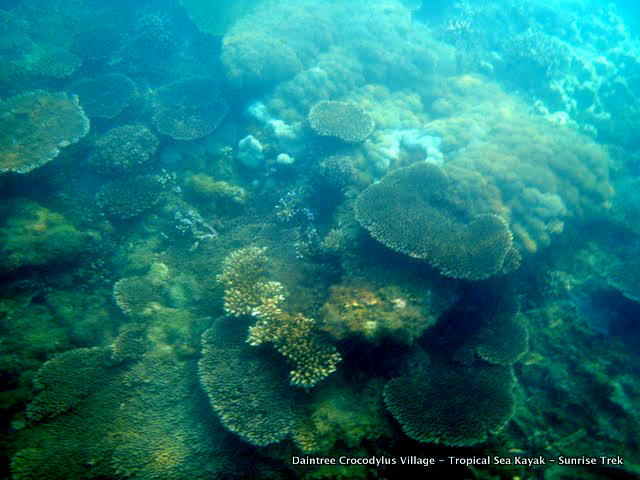 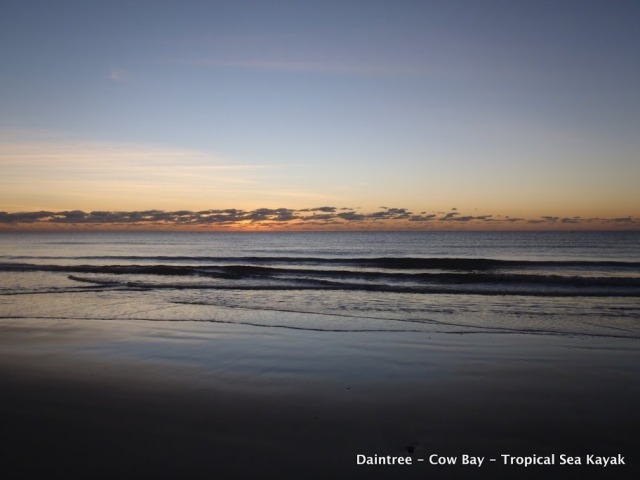 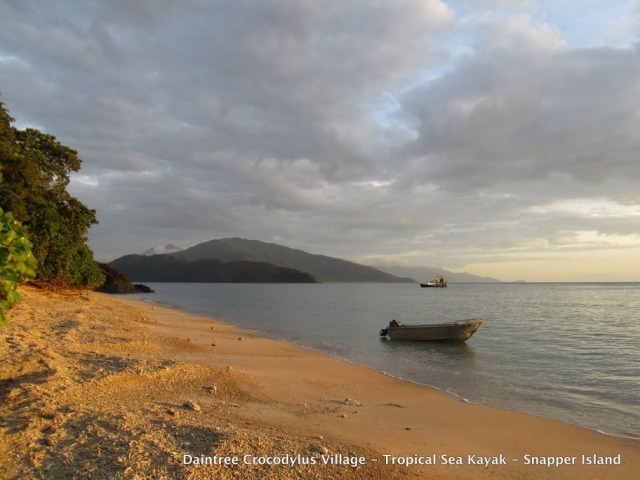 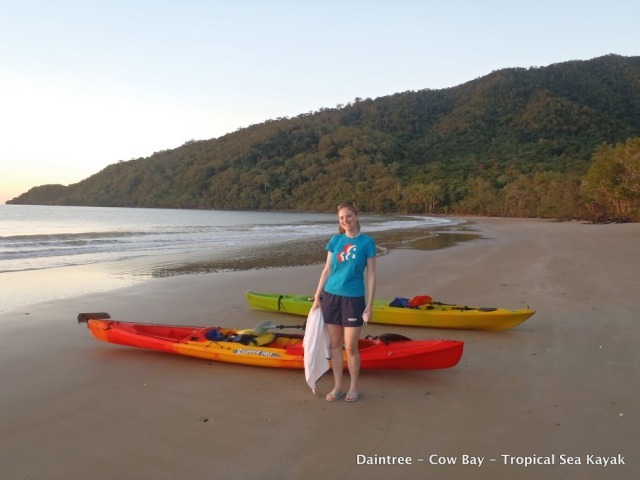 Your trekking adventure starts around 8am at Daintree Crocodylus Village in Cow Bay where you will be fuelled up for the 11km paddle by a hearty breakfast. 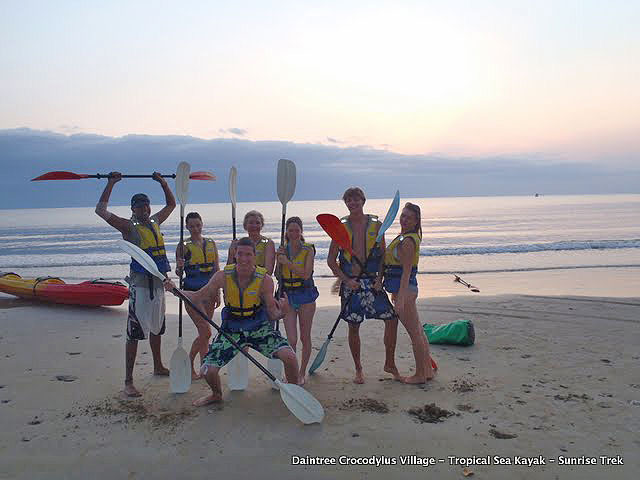 Here you will also receive your orientation and camping paraphernalia e.g. 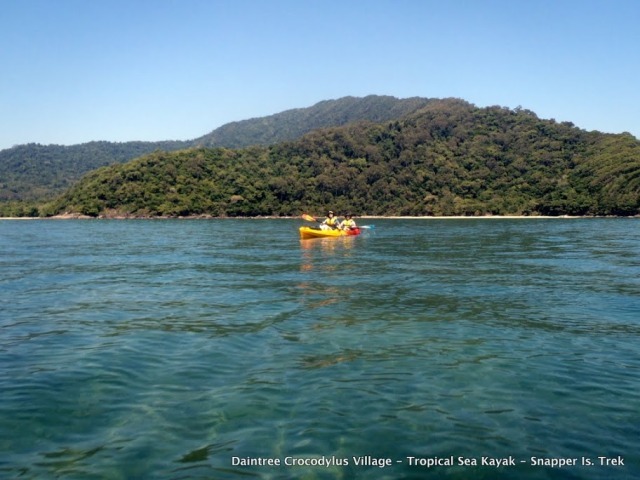 dry bag, sleeping gear, snorkel sets, and stinger suits. 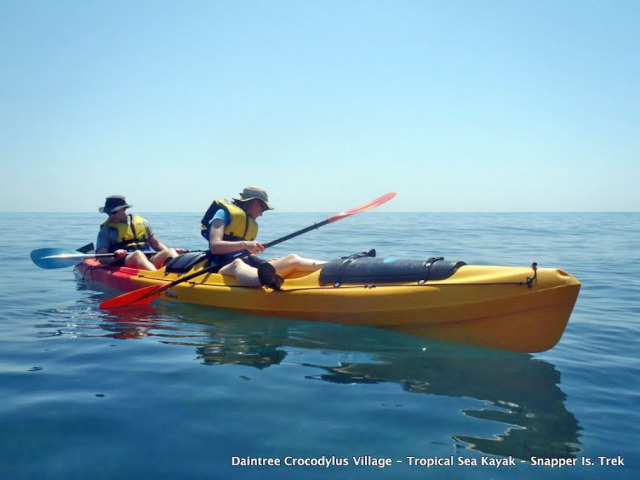 Then its off to the beach where you will pair up, jump in our stable 7m double kayaks, then off you go! 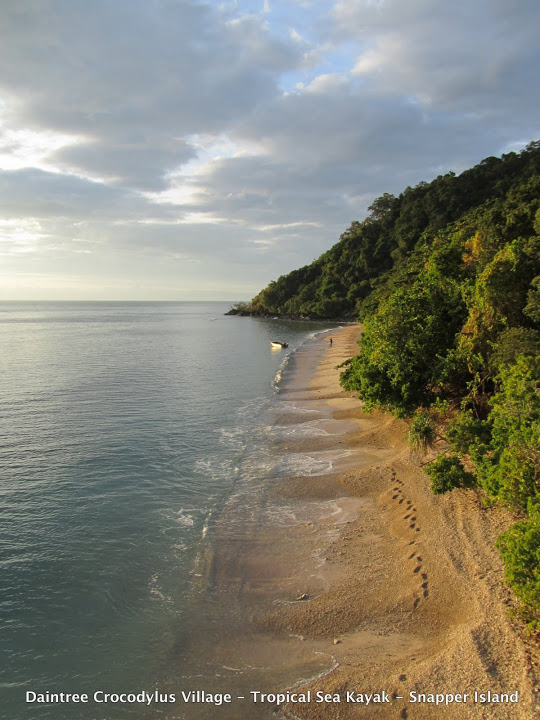 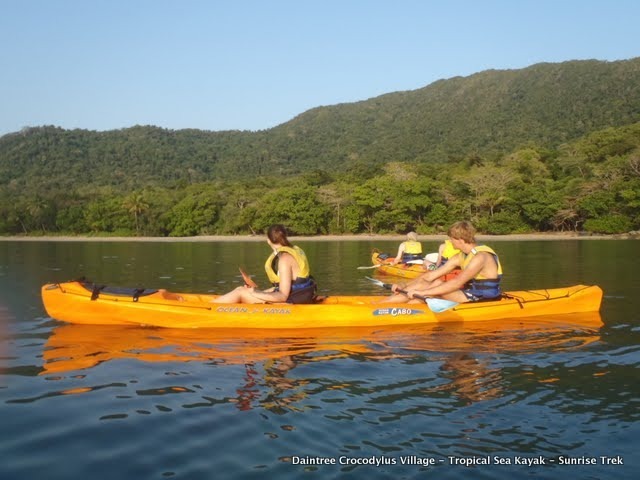 The 11km kayak is taken at a slow pace to ensure everyone makes the most of the spectacular views of the Daintree Coastline and can spend time posing for photos and spotting all the sea life that accompanies you along the way - turtles and sea birds for sure and maybe even a dugong or whale! 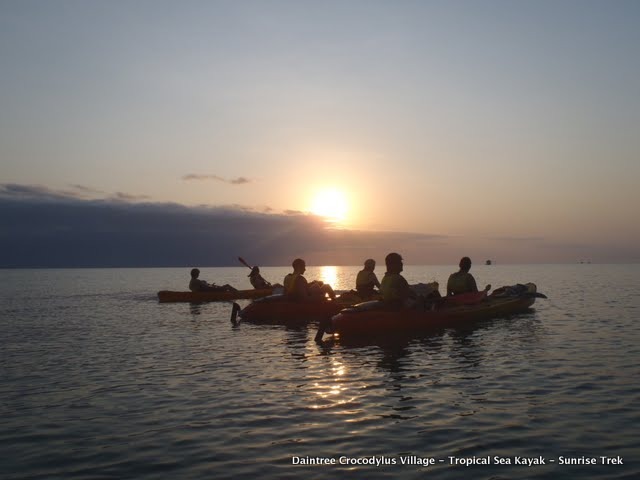 Throughout the trip you will be accompanied by our expert (and entertaining) guide who will keep your safe, prepare your breakfast, lunch, dinner and snacks, set up your tents and sing you to sleep (well at least send you to sleep with his jokes and ghost stories). 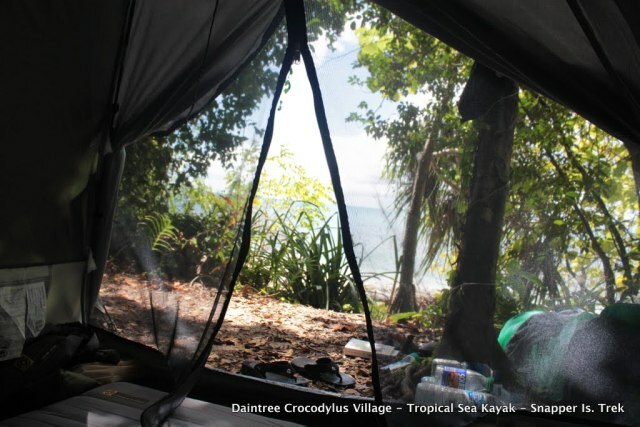 Once on the island you will have plenty of time to explore Snapper Islands rainforest and fringing coral reefs before settling down to dinner and a spectacular sunset then its off to bed in your true room with a view two man tent to rest up for tomorrow's next adventure. 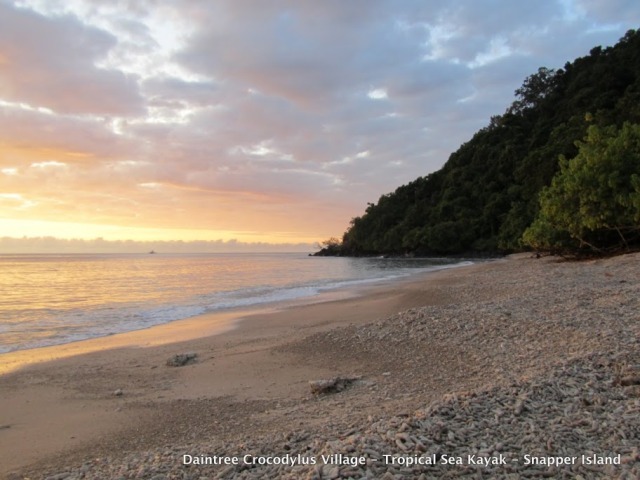 Wake up next day to the amazing sunrise and if you are really lucky breakfast in bed (well maybe a coffee or tea at least) then its off again to kayak slowly back to Cow Bay beach visiting Shipwreck Cove, Robinson Crusoe and Coral Cove along the way for morning tea and lunch and possibly just one more snorkel. 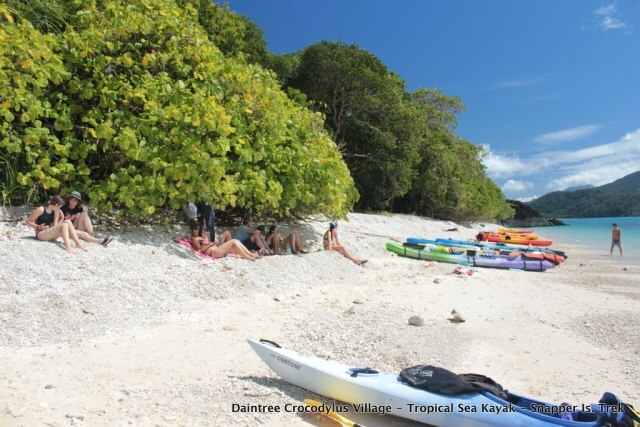 To reach an uninhabitated beautiful little tropical island paddling in a sea of corals was a childhood dream of mine and the Snapper Island Tour made me fulfill this dream. 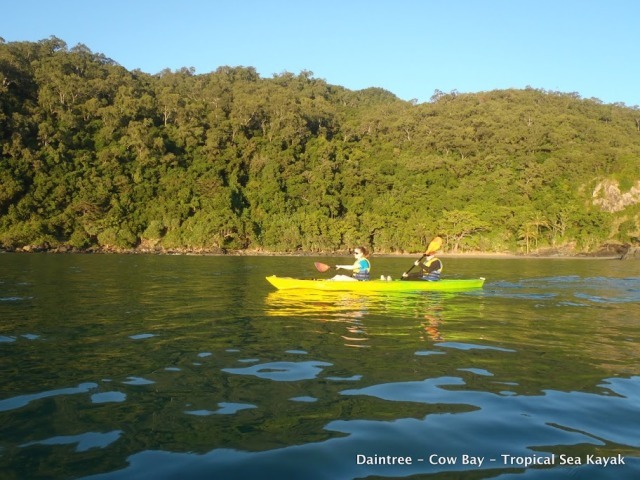 We fully enjoyed the canoeing trip to Snapper Island, it is well planned to give people reasonable rest and time to enjoy a little snorkelling along the way and Dennis made our camping very confortable indeed. 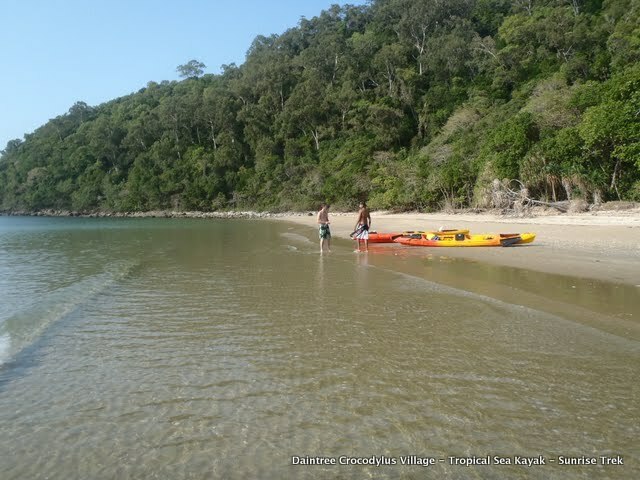 Hallo Emma, we fully enjoyed the canoeing trip to Snapper Island, it is well planned to give people reasonable rest and time to enjoy a little snorkelling along the way and Dennis made our camping very confortable indeed. 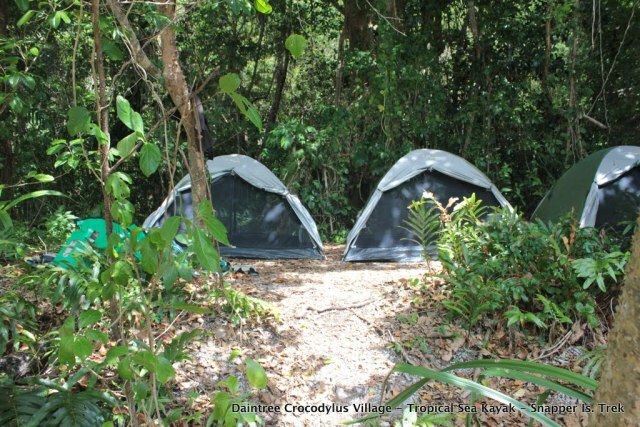 The big surprise was the Crocodilus Village, which we had booked only as the starting point for the canoeing trip. 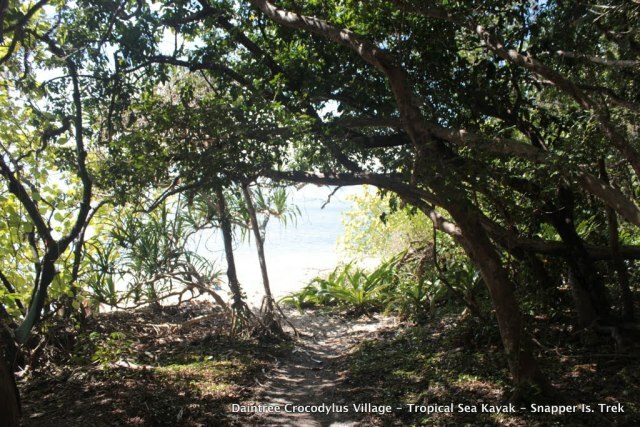 The rain forest there and along their "orange rope walk" is better preserved than in all other visitable sites of the area (and we happened to see most of them), with thick large mature trees that dwarf the cabins... just think that ten minutes after we dropped in, TWO cassowaries (!! 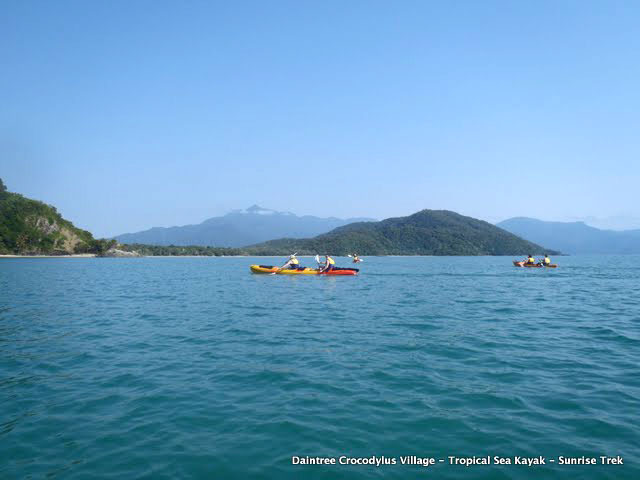 aren't they supposed to be lonely animals?) 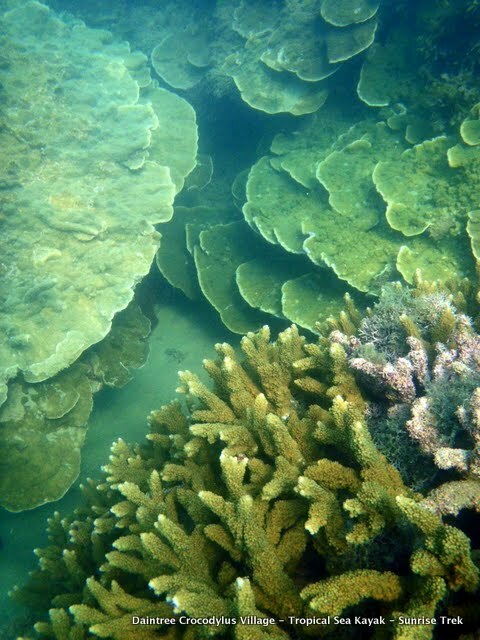 passed less that 5 metres from the front door of our cabin.